[Fashion] Throwback to The Blonds Horror Collection – i swear to goth. 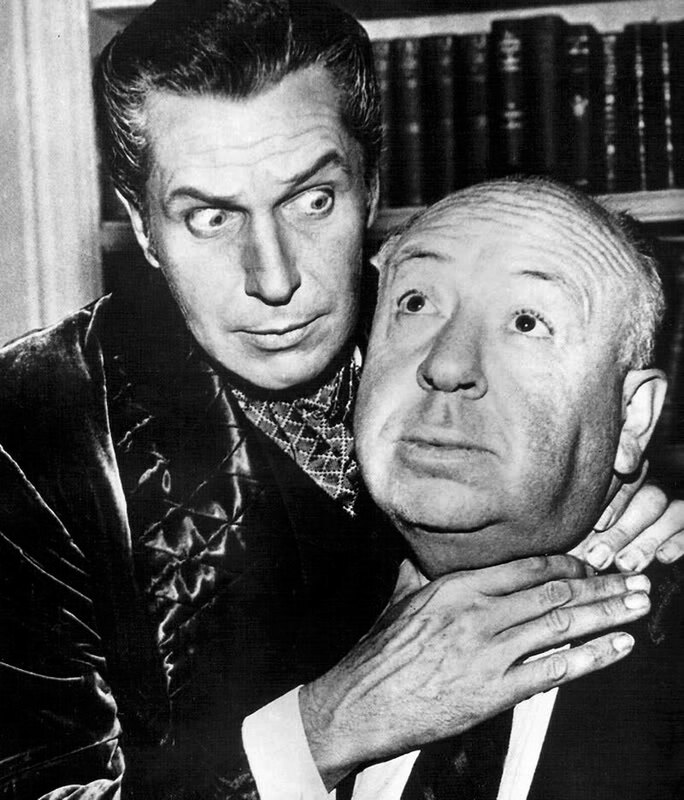 Aw, Vincent Price and Alfred Hitchcock in a sweet embrace. Now I know that The Blonds just had their newest collection shown a mere two days ago, and though the space-age Bowie-like themed designs is awe-inspiring, it’s Friday the 13th! And I find their collection from last year is just a little more appropriate for today. Tut, tut! It looks like blood! Without any exaggeration, I literally just heard of the design team The Blonds yesterday during my lunch break. To be honest, the way they came up was me and a friend were talking about our favorite drag queens, and he mentioned how Phillipe Blond was pretty much the most gorgeous lady he’s ever seen. My ignorance was shortly dissipated as he showed me her Instagram, and in this Instagram feed, designs for the performer Ke$ha were also present. Though the designers were pleasantly embellished and gorgeous, I wasn’t feeling ultra inspired until he mentioned their horror collection from last year. And then I died. One thing that most people know about me is how much of a Hitchcock fan I am. Most of the pieces in their 2013 horror collection are heavily Hitchcock inspired, and tastefully so! Completely imaginative and brilliant, I am now a follower of this design duo. Their ability to use inspiration into classy and wearable pieces is a godsend, but trust me it’s not very common in their more extravagant collections. And seriously, how do I buy that raincoat?! Previous Previous post: [Entertainment] Dead Man’s Party Revival! But Not Really… But Close Enough!